CarmenSwim disclaims any liability arising from the information published on its website, provided that this information has been manipulated or introduced by a third party. From CarmenSwim it is possible that it is redirected to contents of third websites. Since CarmenSwim can not always control the content entered by third parties on its websites, it does not assume any responsibility for such content. In any case, CarmenSwim states that it will proceed to the immediate withdrawal of any content that may contravene national or international legislation, morality or public order, proceeding to the immediate withdrawal of the redirection to said website, informing the authorities the content in question. carmenswim.com has been reviewed and tested to work properly. In principle, the correct operation can be guaranteed 365 days a year, 24 hours a day. However, we can not rule out the possibility that there are certain programming errors, or that occur causes of force majeure, natural disasters, strikes, or similar circumstances that make it impossible to access the website and provision of the service. Under the provisions of Law 15/1999 of December 13, Protection of Personal Data, we inform you that your personal data will be incorporated and will be treated in the files owned by CarmenSwim, in order to perform maintenance and management of the relationship with the User, as well as to keep you informed, including by electronic means, about matters relating to the activity of the Company and its services. You can exercise, at any time, the rights of access, rectification, cancellation and opposition of your personal data by email to hola@carmenswim.com or by writing to CarmenSwim C/ Fábrica de Clotilde, 16 2ºB, 04770 Adra – Almería, always accompanying a photocopy of your D.N.I. The intellectual property rights of the content of the Web page, its graphic design and codes are the property of CarmenSwim and, therefore, its reproduction, distribution, public communication, transformation or any other activity that can be done with the contents of its contents is prohibited. Web pages or even citing the sources, except with the written consent of CarmenSwim. All trade names, trademarks or distinctive signs of any kind contained in the web pages of the company are the property of their owners and are protected by law. The website, including but not limited to its programming, editing, compilation and other elements necessary for its operation, the designs, logos, text and / or graphics are the property of CarmenSwim or, where appropriate, have a license or express authorization. part of the authors. All the contents of the website are duly protected by the rules of intellectual and industrial property, as well as registered in the corresponding public registers. Regardless of the purpose for which they were intended, the total or partial reproduction, use, exploitation, distribution and marketing, requires in all cases prior written authorization by CarmenSwim. Any use not previously authorized by CarmenSwim will be considered a serious breach of the intellectual or industrial property rights of the author. 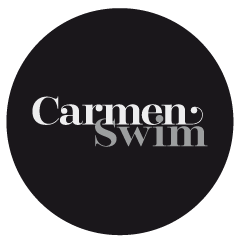 The designs, logos, text and / or graphics outside of CarmenSwim and that may appear on the website belong to their respective owners, who are themselves responsible for any possible controversy that may arise with respect to them. In any case, the provider has express and prior authorization from them. The price of the products shall be that stipulated at all times in CarmenSwim, except in case of manifest error. Although we try to make sure that all prices listed on the page are correct, errors may occur. If we discover an error in the price of any of the products you have ordered, we will inform you as soon as possible and give you the option to reconfirm your order at the correct price or cancel it. If we can not contact you, the order will be considered canceled and you will be reimbursed in full for the amounts that have been paid. CarmenSwim reserves the right to withdraw any product from this website at any time and to remove or modify any material or content thereof. Although our goal is to process all orders in a satisfactory manner for the customer, exceptional circumstances may arise that force us to reject the processing of an order after having sent the Order Confirmation, so we reserve the right to do so at any time , at our sole discretion.